May has flown by, it’s time for another In My Kitchen post. At the beginning of each month food bloggers worldwide give you a peek into their kitchens. Sherry of Sherry’s Pickings fame is our host, so click on the link and check out what’s happening elsewhere, or better still join in. You have until the 10th of the month to link up. May has been the height of citrus season in Brisbane so I’ve been stocking up the cupboards with marmalade to see us through until next year. 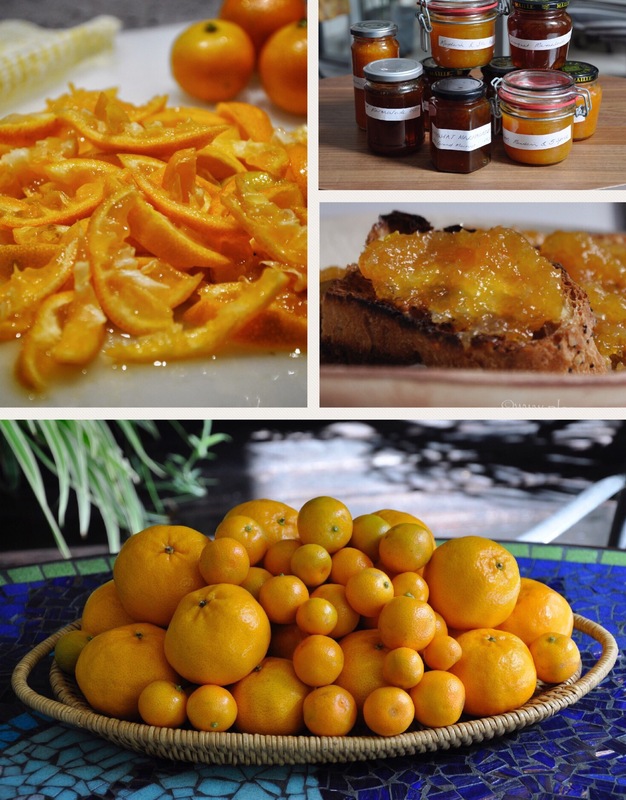 I experimented with mandarin marmalade this year and made my first ever batch with limes, but it was anticipating the flavour our all time favourite cumquat marmalade with Grand Marnier that really got me motivated. I now need to save some empty jars to recycle into jam jars, my stock has hit rock bottom. 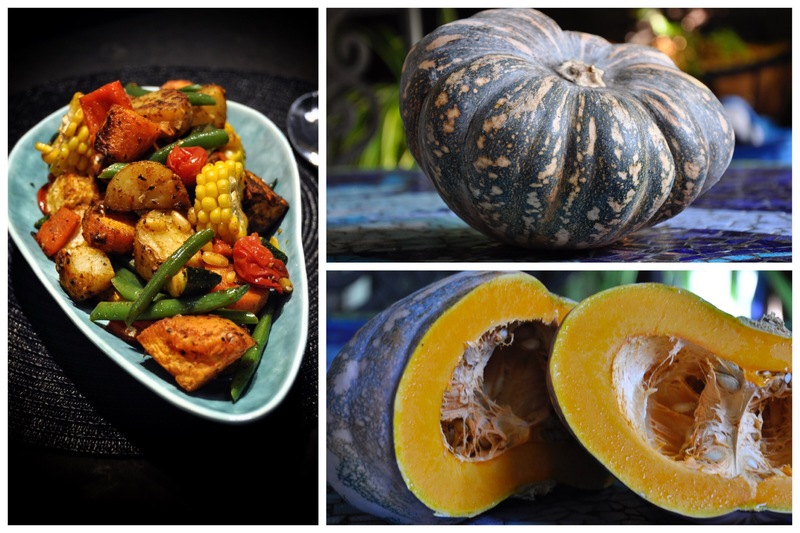 We’re enjoying the cooler weather and celebrating with meals centred around roasted vegetables. My Cajun Spiced Roasted Vegetable Salad is an old favourite. I love the homely smell of dinner cooking. Soup is back on the menu too. I love healthy Asian style soups with slippery slurpy rice noodles, wilted Asian greens and tofu floating in homemade chicken broth. It’s filling, warming and nutritious. 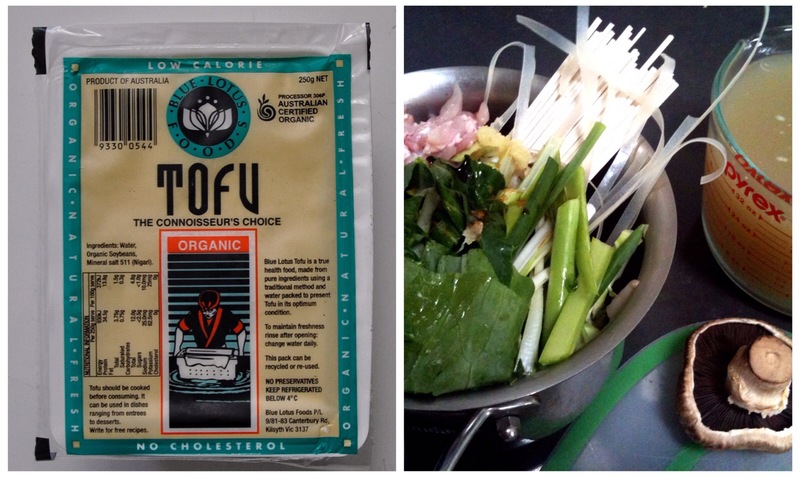 I choose organic tofu to be sure there are is no nasty GM soy in my diet. 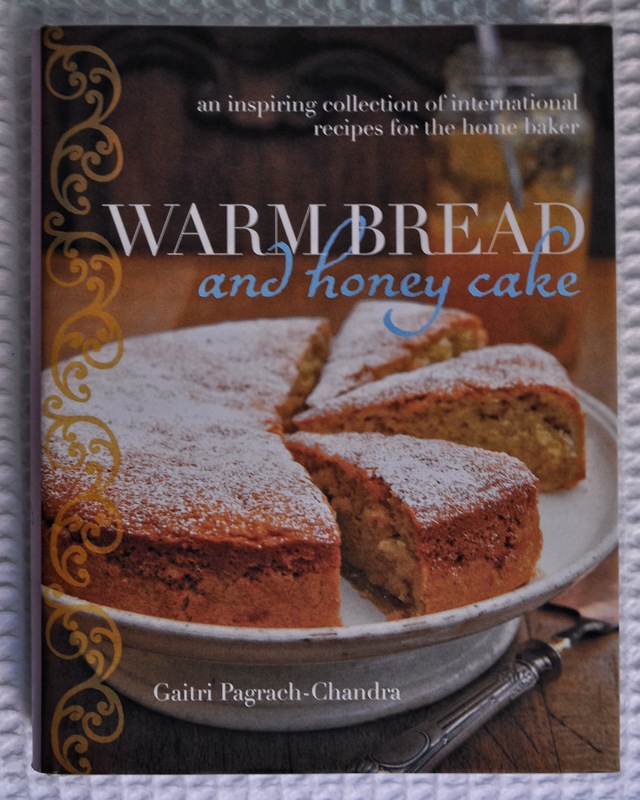 Cookbooks are always welcome gifts and for Mother’s day I received “Warm Bread and Honey Cake” by Gaitri Pagrach-Chandra. The book is filled with recipes for delicious sounding cakes and breads. I’ve really enjoyed reading through the book, I’m yet to start baking from it. I’ll hop off my soapbox now to tell you about “Simply Good” in Alderley. It’s an old fashioned bulk store with food stored in bins where you scoop exactly how much need. I source all my muesli ingredients, bread flours and grains, sugars, dried fruit and nuts from them. Everything is fresh and good and where possible, Australian grown. There’s a broad selection of dry goods including many hard to find ingredients. Prices are much more reasonable than the pre packaged stuff from the supermarket. They also sell bread flours in bulk quantities. The good people from Simply Good don’t know I’m promoting them, but they deserve a free plug. For those in Brisbane, “Simply Good” can be found at 30 South Pine Road Alderley. Sandra, I agree with you on having a choice, “locally grown”, and slurpy rice noodles. (Such fun to eat with chopsticks!) Love your Cajun salad, too — your additions of pine nuts and white balsamic vinegar are genius! Will catch up w/u again in August. (I’ve been gone and will be gone again shortly.) x!. Oh, those cumquats. So good in a winter pudding too. That books sound divine. I’m reading Madhur Jaffrey’s autobiography at the moment and it has all her family recipes in the back. It makes my mouth water when I reading it on the bus. Your store sounds lovely. Unfortunately I’ve never seen one like that here. I’ll have to check out the cajun pumpkin recipe in the fall when it cools off here and we hopefully haste pumpkins in the garden. That cumquat marmalade sounds delicious, I’ve pinned it. We rarely see cumquats in the stores, I may need to add that to my citrus collection in pots. My mother used to candy them and serve them with grilled food. Specialty citrus growers at our local Farmers Mkt are the only place I’ve seen cumquats for sale. I left my very prolific potted tree with a friend when we left Melbourne and really miss the fruit. We love cumquats marmalade, the flavour is incomparable. I was so glad that you also found it cheaper to buy from smaller (local) producers than mega supermarkets. Many people assume the opposite. Naturally, there is less packaging and more seasonality. As a result, taste is better, too. That Cajun roast veg recipe rings a bell – posted a few years ago? I must revisit it. I adore cajan spiced foods. Lime marmalade is fabulous and even better when paired with lemon. Can’t wait until my kumquats are ready for picking and I’ve recently planted a bergamot which I am told makes superior marmalade. Had to do a bit of research myself – IMHO meaning! I’m eyeing off my cumquat crop and waiting patiently for it to be ripe – I have plans for cumquat marmalade too. Nice tip about the Grand Marnier, thanks! Oh my goodness, cumquat marmalade with Grand Marnier – now that sounds fantastic! I hate to be late! That oft means being a repetitive bore !! I DO hope I shall not offend Francesca when I say that I was going say almost everything she has before I read hers 🙂 ! Yes, STAY on the soapbox!! And I also have to shop online from Coles some 40 kms away! Oh, Asian style soups and ‘slippery, slurpy noodles’ are part of this household also 🙂 ! And on the second day of winter I have already ‘had it’ – not used to going to zero and hearing the fan on my ruddy heatbank going off all night . . .
Haha, funny, last night I thought I heard the central heating fan come on. Wishful thinking of course, no heating in Brisbane. Last night I resorted to sox and a jumper for the first time this winter. I feel like I’m turning into an leftie eco-warrior Granny, I revel in change usually, but not when it places limits on me.. SO glad you understand !! OMG: methinks I shall describe myself as being ‘a leftie ecowarrior granny’ also !! Sugar, ma’am, no need to capitalize the ‘granny bit’ !!! I will be back in Brisbane in a couple of weeks. I will definitely look for Simply Good. Thanks for the tip. Debra, the weather is gorgeous, something else to look forward to.. Thanks for joining in this month. I’m embarrassed to say even tho I live just down the road pretty much I have never shopped at simply good. I will remedy this soon:). Just FYI – I have fixed up your link as it was going to your admin page rather than your IMK post. That is why none of your photos came up when you were adding your link. All good now! Yes it’s fab to have some cool weather isn’t it? I’m happily wearing trackies and a big shawl. What did I do wrong with the link Sherry? I cut and pasted the post URL into the appropriate field on the Link Up form. I’ll get there eventually! Simply Good is well worth a visit. It’s a real grass roots kind of experience. Your concerns about locally-sourced foods from small producers touches a worldwide issue. Unfortunately most small producers here in the US have to charge higher prices than the supermarkets, so the choice is more difficult. Your objective “promotion” of a seller of local grains and produce is great — especially in view of the fact that so many other bloggers only promote businesses that give them incentives and free samples. Stay on that soap box Sandra. I agree wholeheartedly with this approach to shopping and eating and shop in very much the same way, though sometimes when I’m on the run, I resort to Coles, which is the nearest thing to our country place ( around 13 kms away). I guess so many young women and men who work, have children to pick up and after school classes to drive them to, must make do with the duopoly. I think we, as older matriarchs so to speak, must continue pushing our views. Now about your things in your kitchen- all lovely. That Cajun pumpkin salad looks very tasty. I think choice is the luxury of ageing, time is on our side. Definitely wouldn’t be able to find the energy to parent in the current style AND work fulltime. This entry was posted on June 1, 2017 by ladyredspecs in Cooking, Food, In My Kitchen, recipes and tagged IMK, in my kitchen.